We are a premier provider of Coppell landscaping services for commercial and residential contracts including lawn care and lawn services. From your first consultation with us, you will see that we begin by carefully listening to any concerns or needs you have regarding your property’s landscape. From small scale projects to many acres of property, we will tailor a program custom made to fit your goals, and provide excellent care for your grounds each step of the way. We appreciate that each customer and property is different. Our Expert Landscapers will listen to your needs and assess your property and relevant circumstances. Together, you and your Landscape Specialist will consider all aspects of your landscape options and come up with a plan that is just right for you. Our experienced crews will deliver the product that you desire in a manner that you expect. You will be pleased with your property and the manner in which it is cared for. Ryno Lawn Care, LLC is a full service Commercial and Residential Coppell Landscaping, lawn care, irrigation and design corporation. We have been serving the North Dallas area since 2006. 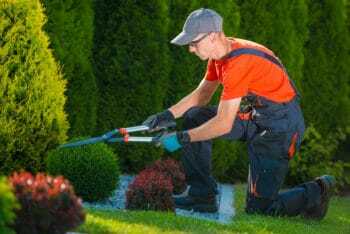 We know you have a lot of choices when it comes to hiring a landscaping service in Coppell, TX. That’s why we always work hard to exceed expectations. From design to installation, our landscape experts have been upgrading Coppell lawns for over 10 years now. Landscaping for Coppell, TX area is as easy as calling us for a free estimate.